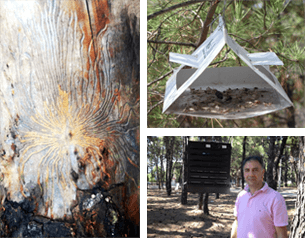 Monitoring population fluctuations of established forest pest but also identification of the presence of invasive alien pests is best served by the use of an extensive network of pheromone traps. In forest ecosystems fire, pollution and animal grazing constitute the main problems leading to significant degradation. 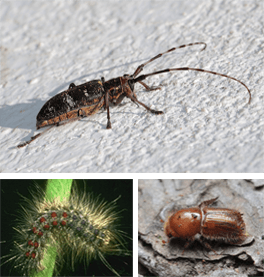 In addition to these, insect pests contribute to their further deterioration. In Greece the most harmful organisms among those dwelling in forest ecosystems belong to the Insect Order. Due to the mild climate many insect pest, mostly coleopteran, periodically develop many generations per year leading to extremely large populations. In addition some of them serve as hosts to yet other harmful organisms (viruses, fungi, nematodes) that infect forest trees. Among insects pests the pine recessionary moth (Thaumetopoea pityocampa) is the most common. However, it has been established that forest pines and firs especially during long and dry seasons are subsequently infested by scores of bark-beetles (Scolytidade) resulting to their death over large areas. In oak forests the gypsy moth (Lymantria dispar) and the European oak leaf roller (Tortrix viridana) are the main pests. Conifers suffer by many bark beetles which lead to their decline and they eventually die out. Symptoms: gallery formations, resin flow, bark discoloration around entry point. The use of pheromones and kairomones (attractants or repellents) for these pests plays significant role in their early detection but also in their management. 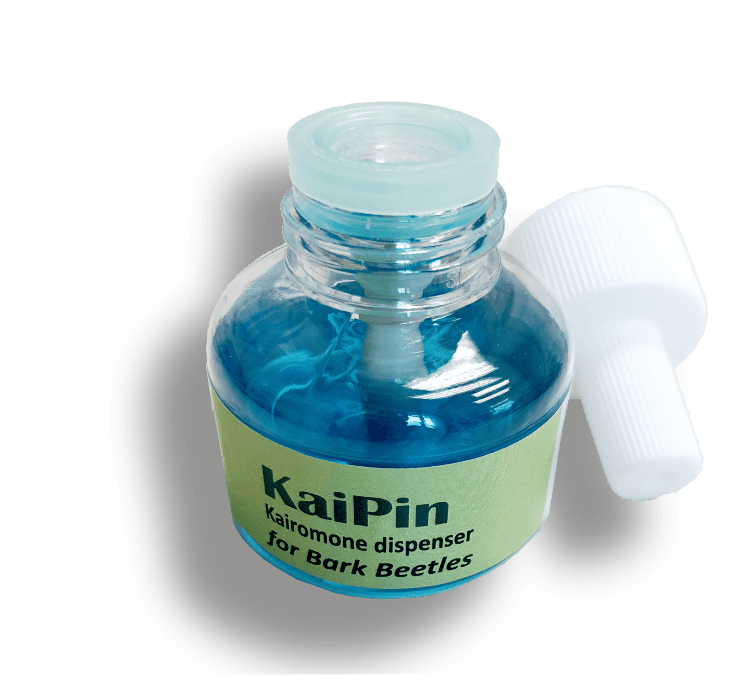 The KaiPin dispenser (KaiPin tryptich) contains volatiles (kairomones) mimicking the odor of damaged trees. The emitted odors are highly attractive to both male and female beetles. 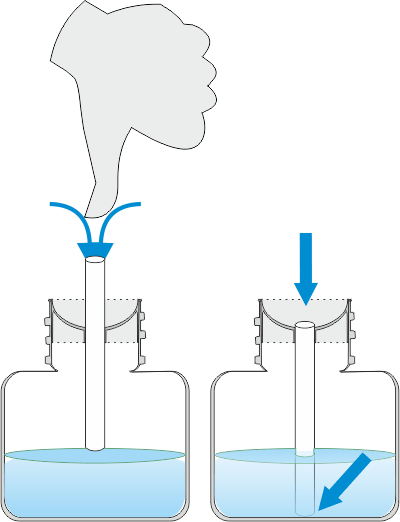 The content of the dispenser dissipates slowly through a ceramic wick and at a constant rate ensuring optimum evaporation rate over a period of 40 days*. 2. Press firmly on the ceramic wick to ensure that it is fully inserted inside the vial. * keep the lid and screw it back on the dispenser if you remove it from the trap to stop evaporation of the liquid. Installing and using traps for bark beetles. Traps should be hanged at head height above ground. Respect 25 m distance between traps. For monitoring purposes place four traps per ha in the case of uniform plantations, more for mass trapping. Install and maintain the traps in place throughout the flight period of the weevils. 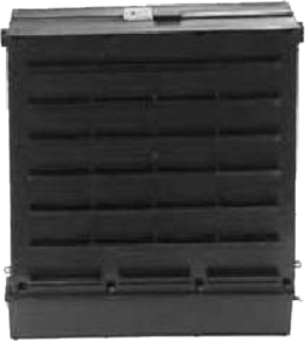 Multifunnel traps are the most effective traps used for bark beetles and are widely used.